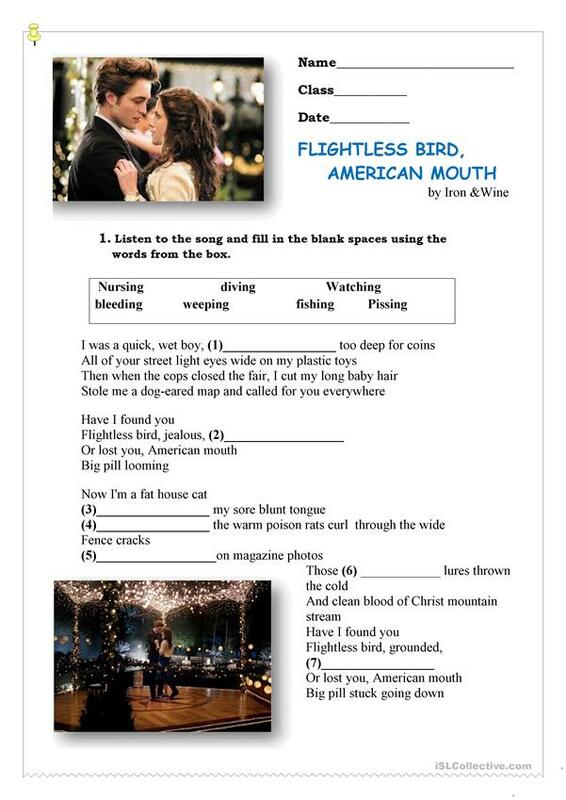 Listen to this soundtrack,do a grammar task (the function of the Present Participle)and write a comment for the Internet blog 'Is Flightlees Bird,American Mouth Still a Hit?" The present downloadable worksheet is meant for high school students at Intermediate (B1) level. It is aimed at consolidating Participles: Present participle (e.g. 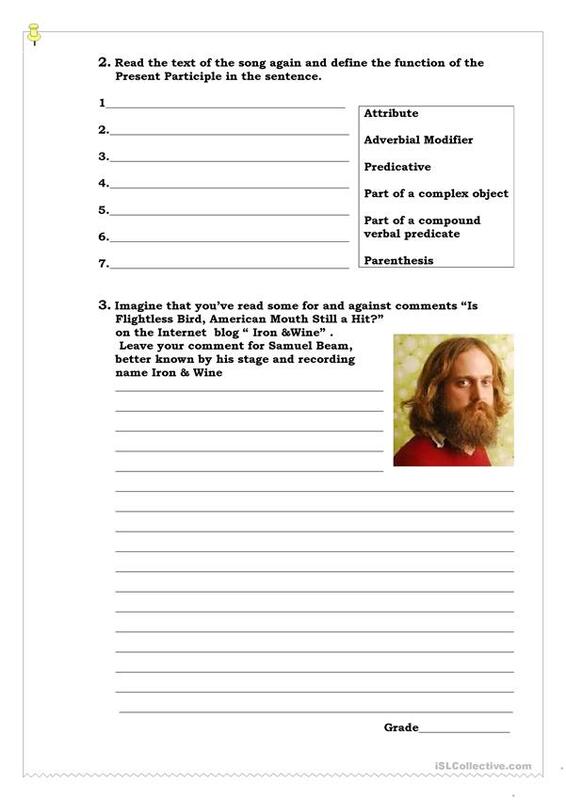 DOING) in English, and is excellent for developing your learners' Listening, Reading and Writing skills. It is about the theme of Personality and character. zhilinanna is from/lives in Ukraine and has been a member of iSLCollective since 2015-03-15 12:57:07. zhilinanna last logged in on 2019-04-25 06:07:05, and has shared 28 resources on iSLCollective so far.